Inspired by Scarlett O'Hara's famous drapery dress, this light fichu is a perfect light cover for bare shoulders. Includes Georgia travel tips and Peach Cobbler recipe. Inspired by the silvery tendrils of Spanish moss in the Mississippi bayou. An easy first crochet project. Mississippi travel tips and Red Velvet Cake recipe included. Show off your tan and your beach treasures with this long scarf and bracelet. Pattern includes travel tip for Florida's best beaches and recipe for Sweet Plantains. Beaded and felted clutch inspired by the Kentucky Derby's circlet of roses awarded to the winner. 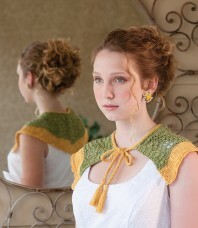 Pattern includes Kentucky travel tips and recipe for Mint Julep. 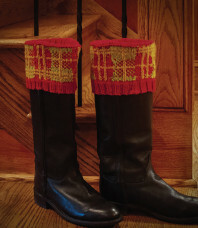 Inspired by the famous Scottish Highland Games at Grandfather Mountain near Banner Elk, North Carolina. 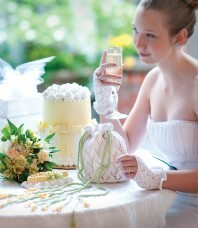 Inspired by summer honeysuckle, this pattern includes drawstring bag, fingerless gloves and garter. Virginia travel tips and Chocolate Toffee Pecan Pie recipe included. Inspired by the Tybee Lighthouse, this body skimming tunic sports an eye-popping graphic stripe. Includes Georgia travel tips and Peach Cobbler recipe. 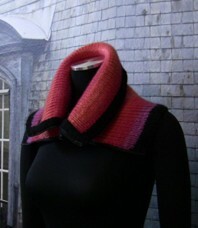 A unique technique for team color scarves - helix knitting. 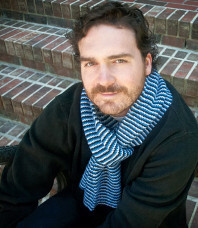 The scarf is actually one stripe each of three colors, traveling together up the scarf like a candy cane or barber pole! A bit of Key West to warm your gray winter days. Inspired by Mobile, Alabama's historic Mardi Gras celebration. 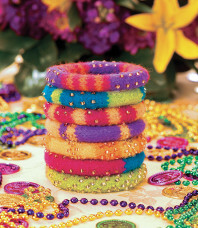 These easy felted bracelets are a party for your wrists. Includes Alabama travel tips and recipe for perfect Sweet Tea. Inspired by a runway design from one of Italy's most famous couturier's, this piece can be worn a multitude of ways by adjusting the double zipper. 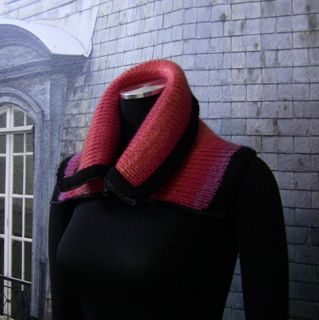 Collar, cowl, shoulder warmer, you choose! 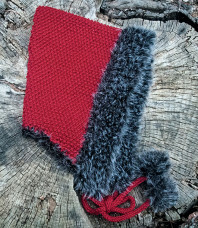 Inspired by Charlaine Harris' heroine, Sookie Stackhouse, this scarflet covers the evidence! Bananas Foster Bread Pudding recipe and Louisiana travel tips included. Inspired by the beautiful wolves that make Yellowstone National Park their home. 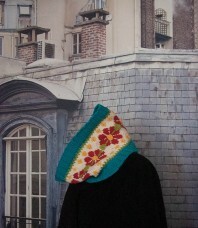 Shaped with short rows, this hood snuggles the head and neck beautifully. Inspired the beautiful colors of the spa at the Ritz Carlton on Maui. 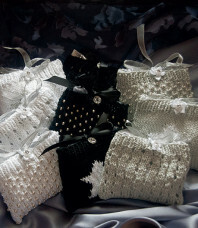 A quick knit, a great stash-buster (washable yarns! ), and a lovely gift. When you don't have a boa-trimmed negligee and kitten-heeled slippers, but need a little girly, this is a perfect gift for yourself. And a crazy fast, stash-busting gift knit. 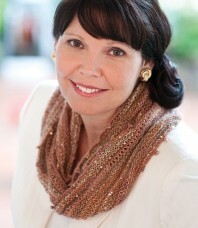 A lightweight neck wrap inspired by the colors and shimmer of the summer sunsets along Florida's Gulf Coast. Includes Florida travel tips and Sweet Plantains recipe.